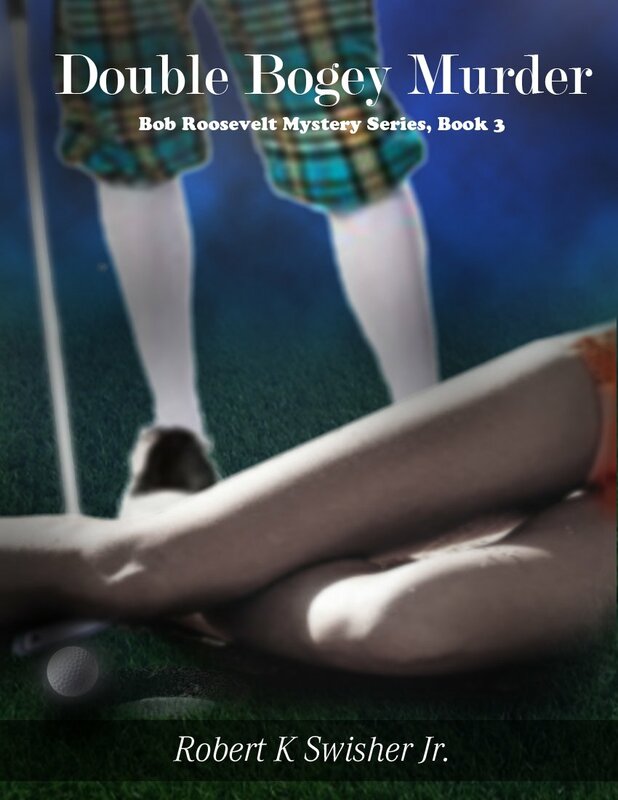 Double Bogey Murder by Robert K. Swisher Jr.
Bob Roosevelt informs his guardian angel they are moving to phoenix and he is going to take up golf. his guardian angel tells him he had better move to Alaska and take up fishing – golf will do nothing but get him hurt and in deep trouble. what does roosevelt find after hios first drive ends up in the deep rough? you guessed it. a dead lady that happens to be the ex-girlfriend of a crime boss that would gut punch his grandmother. murder, golf, bank robbery, crooks that like drinks with cute little umbrellas in them. I have written in many and they are all work. The first two were fun so i decided to write two more and working on another now. i like the concept of a detective and a guardian angel. so far the series has been well received. 14 traditionally published novels. 6 indied. taught a class called ‘the realities of writing.